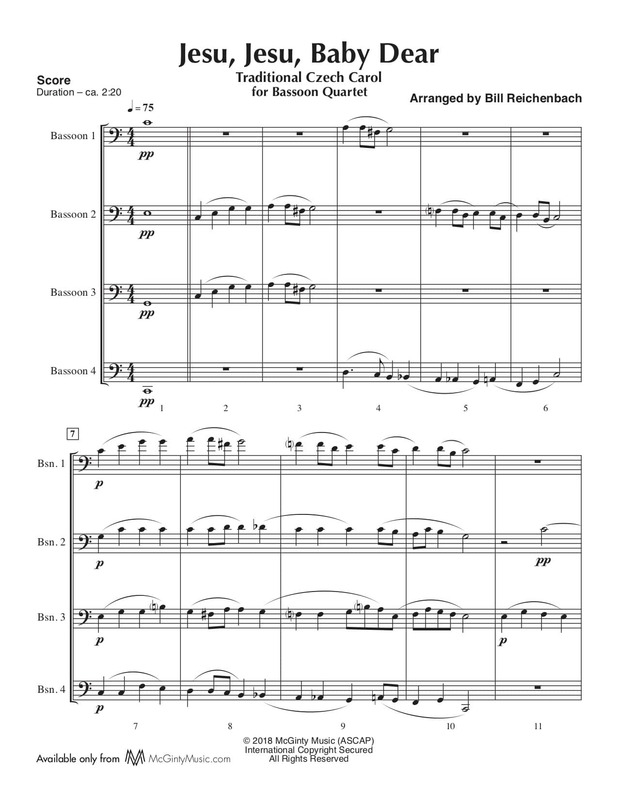 Jesu, Jesu, Baby Dear – Bassoon Quartet | McGinty Music, LLC. This traditional Czech carol, also known as the rocking carol, is sung as a lullaby to baby Jesus while rocking in the manger as if it were a more modern cradle. Cradle rocking, a custom which began in German churches in medieval times, eventually spread from there all across Europe. The carol was popularized by a recording by Julie Andrews.